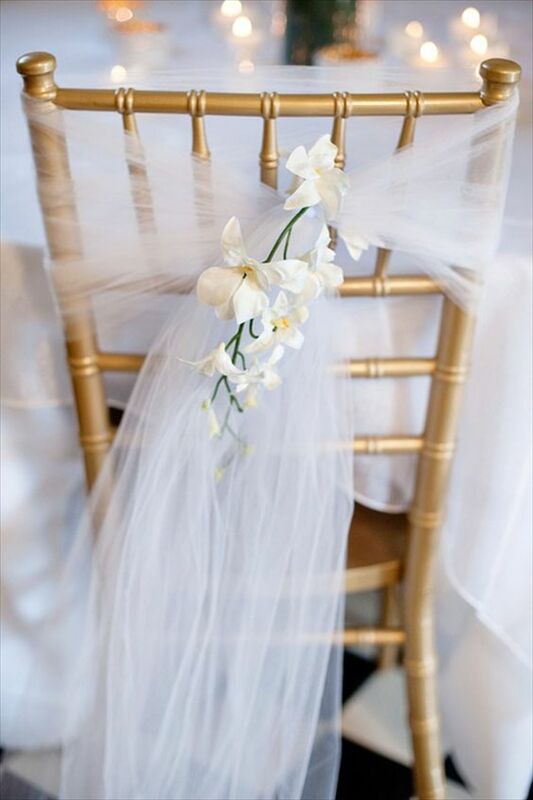 Picking chairs for your wedding may seem like an insignificant task in the long list of decisions that need to be made leading up to the big day. However, when you consider that every single guest will sit down at some point during your ceremony or reception, it seems sensible to give this decision a little more thought. The right chair can help transform an entire space and gives the perfect amount of understated detail to a venue. The Tiffany chair’s classic and elegant design does exactly that and has subsequently become a favourite for both weddings and receptions. The tiffany chair is simple, but timeless and come in a range of colours including white, black, gold, silver and clear. They are also easily decorated and embellished so they fit into any style or theme. Try stringing fairly lights on the back of the chairs for a sophisticated look or dress them up with ribbons and sashes that match your chosen colour scheme. Small floral arrangements in autumn colours go great with the gold Tiffany chair to give your space a real rustic feel. On top of their great design, the chairs are also incredibly practical. They are light weight and easily stackable, making set-up and pack down a much easier task! They are ideal for both indoor and outdoor events and come with removable cushions which add an extra level of comfort for guests. Cushions come in white, black and silver. Whether you are having a small, intimate gathering, or a sit down reception with hundreds of your closest family and friends – Tiffany chairs can be ordered in quantities to suit any time of wedding.